An Advocate’s role is to increase a Fast Runner’s confidence and capacity by providing encouragement and business advice. You won’t have all the answers, but you should be a skilled networker who isn’t afraid to ask your network to create connections for you. We’ve observed the best Advocates over the years, and here’s what you can learn from them. Habit 1: Respect your time. Communicating with your Fast runner through Skype calls or emails; reaching out to your network for experts; researching the Internet to find solutions that will best help strengthen your Fast Runner’s business; speaking with me or Rena—it all takes time. Make an appointment with yourself and schedule time for your Fast Runner. Habit 2: Become a trusted family member and advisor. Afghanistan’s high-context culture is based on relationships--mainly within the extended family umbrella. As a Bpeacer, you are family, but it will still take time for you to earn your Fast Runner’s trust. Before your first get-to-know you Skype call, send ahead some photos of yourself and your family. Include photos of yourself at your workplace. Ask your Fast Runner to do the same. Talking about photos will help break the ice. On the first call, also provide your credentials. Use numbers. Years of experience. Number of clients or people you manage. Explain in layman’s terms what you do in your workplace. A successful outcome for the first call should be your Fast Runner feeling comfortable to ask you a business question. This will demonstrate s/he is ready for your advice. Habit 3: Communicate simply and consistently. If your Fast Runners speaks English, it is their second, third or sometimes fourth language. If your Fast Runner doesn’t speak English, a family member or employee will usually help them read and write emails, or translate on Skype calls. Set a good example: Answer emails within 72 hours, even if it’s just to say: I received your email; I will get back to you in the next week. Take a moment for the personal: Begin each email with a pleasantry about health, family, recent holiday, etc. Reference or express concern for a recent Afghan event in their city: This will show that you are aware of the news, and the possible impact on their ability to get to work or communicate with you. Shorter is better: Simple sentences without jargon. Brief emails. A video is worth a thousand words. Illustrate a complex solution by finding a YouTube video or making your own and sending a link. Be sensitive; your Fast Runner may not always admit that they don’t understand something. Assume they don’t and provide examples, and then ask them how that example might be applied in their situation. Skype at least every four-six weeks: Skype conversations definitely accelerate progress. Send out an SOS: To me or Rena if you have not heard from your Fast Runner in four weeks. Habit 4: Give and you shall receive. In the U.S. we have a tendency to ask a lot of questions before moving forward; we want clarity. At Bpeace, we have learned to resist the urge to ask 20 questions. The reaction from the Afghans is usually radio silence. They want to be thoughtful, and they put aside the email to give it the time they believe it deserves, and you know what happens. The same thing that happens in the U.S.—the email never gets answered. Start by asking the three most important questions. But, first check with us to see if we have the answers. Even though Rena and I try to brief you completely, there may be some backstory in our memory that we forgot to share. Phrase questions specifically. Don’t leave room for interpretation. For example: You want to know what equipment your Fast Runner is using. Instead of asking: What equipment do you use? You could ask: Tell me the name and brand of the three most important pieces of equipment you use. Please send me a photo of the equipment in your workshop or from the internet. Explain why you are asking the question. For example: When I see your equipment, I will understand your capabilities and then I can better help you improve your operations. Give info, insight or links. In the same email you are asking for information, give them some new info as a gift to work with. This could be a link to an article they might like or an example of something innovative you did that week. Habit 5: Let your Fast Runner know how you can help. Some Fast Runners will be very specific about what they need, others not. This is mainly because they don’t know how you can assist and may be shy to ask. Present them with ideas for how you can help. Habit 6: Expose your Fast Runner to new ideas. Afghans have been at war and isolated for more than 30 years. Thanks to the Internet (mainly Facebook), our Fast Runners are increasingly exposed to the outside world and they are hungry to learn. Share information on new technologies, products, ways of working, etc. Keep your ideas based in their reality but don’t be afraid to give them something inspirational that will give them a competitive advantage. 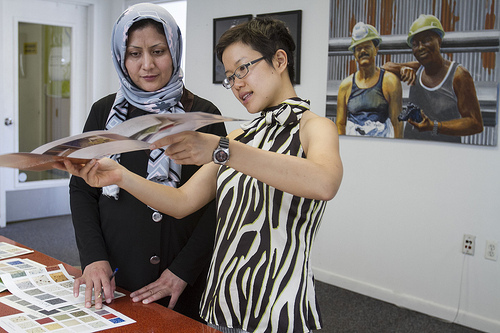 They may need your help tailoring ideas to the Afghan context. Habit 7: Keep Bpeace staff involved. You are not alone. Bpeace doesn’t send you on this Advocate journey solely with these guidelines and our gratitude. We are part of your team! We provide the context for what baffles you. We can bring additional Bpeacers or experts to the table. Fahim can help your Fast Runner interpret, evolve and implement your ideas. Copy Rena, Fahim and myself on all emails with your Fast Runner. And if you have a Skype call without us, please send us a brief note on the highlights and resulting action items. Good governance as a regulated non-profit organization. We document Fast Runners progress in a secure online database and we include important touch points of your communications in it. Take pleasure in the process. Enjoy learning about a different culture. Relish this very unique and very long-distance relationship you are cultivating. Smile broadly in every email, and laugh to yourself often. Nasim is the owner of a preserves, juice, pickles, and sauce production company in Herat, Afghanistan. She met her Advocate, Michael DelGrosso, when she apprenticed on the job with him at DelGrosso Foods in April. Michael is providing guidance for Nasim as she develops tomato sauce to add to her product line. Nasratullah sells, designs, and installs solar panels to individuals, businesses and government agencies in Mazar, Afghanistan. He also met his Advocate, Eric Youngren, CEO of SolarNexus International, while apprenticing with him in the U.S. last April. Eric is sharing his international contacts with Nasrat to help him source high-quality materials. 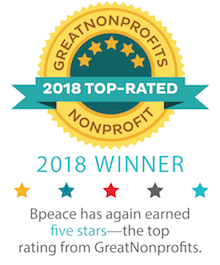 The author of "7 Habits of Highly Effective Bpeace Advocates" is Marla Gitterman, Chief Program Officer of the award-winning non-profit organization Bpeace.